Treating children with anti-psychotic drugs may increase the risk of a condition which leads to diabetes and heart disease, research suggests. A team from Johns Hopkins University looked at 'atypical' antipsychotics, used to treat behavioural problems such as manic depression and schizophrenia. They found their use may trigger insulin resistance. The research was presented to a meeting of the American Academy of Child and Adolescent Psychiatry. The Johns Hopkins team evaluated 11 children who gained significant amounts of weight while taking the atypical drugs olanzapine, quetiapine, and risperidone. Considerable weight gain is a common side effect of atypical antipsychotic medications - and is also one of the many factors that can contribute to insulin resistance. All six children on moderate or high doses of one of these drugs, and three of five children on low doses, had evidence of insulin resistance. This is a condition in which the body cannot properly use the insulin it produces. Lead researcher Dr Mark Riddle said: "The insulin resistance seen in these children was greater than what would be expected from weight gain alone, suggesting there is a factor distinct from excess weight that directly induces insulin resistance." 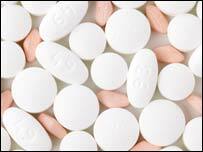 In general, the new-generation antipsychotics create fewer side effects than older drugs. The drugs, which balance certain chemicals in the brain and stabilise mood, have successfully treated countless numbers of children since being introduced in the 1990s. Dr Riddle said: "Treatments are always a matter of risk and benefit balance. Clearly these drugs are an important treatment option. "But diabetes and heart disease are serious health issues, so it's important to further investigate this apparent relationship between atypical antipsychotics and insulin production and consumption. "We may need to re-examine how we are prescribing these drugs to see if dosage changes can be made to ensure children will continue to receive the benefits of these medications while not putting them at risk for developing other health problems in the future." Cliff Prior, chief executive of the mental health charity Rethink, said: "There is no doubt that the early diagnosis and treatment of schizophrenia improves outcomes, but treatment should never rely totally on medicines. "Many of the medicines used for schizophrenia have not been tested with children, and the greatest care is needed in this area." If children are receiving these drugs one would sincerely hope it was under the close supervision of a child or adolescent psychiatrist. Mr Prior said antipsychotic medications were powerful medicines that had a major effect on brain chemistry. "They are often used for long-term treatments and their side effects - which vary greatly between individuals - need to be carefully monitored. "People using them need regular reviews and the opportunity to exercise an informed choice over which they use." Dr Tim Fox, an associate editor of the journal Drugs and Therapeutics Bulletin, said the drugs were not recommended for use in children and adolescents in the UK, but were almost certainly given to young people who developed mental health problems. "There is some evidence that children may be more susceptible to a number of side effects of antipsychotic treatments," he told BBC News Online. "If children are receiving these drugs one would sincerely hope it was under the close supervision of a child or adolescent psychiatrist." Dinah Morley, of the charity Young Minds, Young said young people with severe mental illnesses were an extremely vulnerable group. "What is needed is rigorous research into all treatments used on children, including drugs, to develop the evidence base and to safeguard children and young people from harmful side effects." Amanda Vezey, of the charity Diabetes UK, said: "This is an interesting study and we would be interested to see the larger studies into the causes of insulin resistance in children who take antipsychotic drugs."